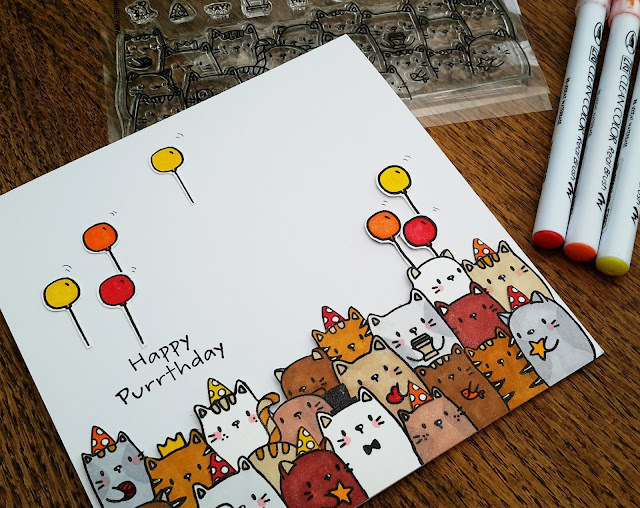 One for the cat lovers today, using The Cat's Meow stamp set from Mama Elephant. This is a big stamp so I used my Misti to make sure that I got a good inked impression. No fancy, schmancy colouring, just a bunch of Zig Real Brush Markers. I fussy cut the cats, plus a few balloons (also from the set) and stuck them to my card base with foam pads. 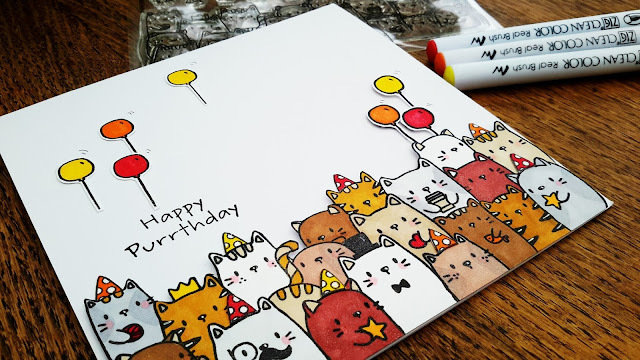 Fantastic card!!! 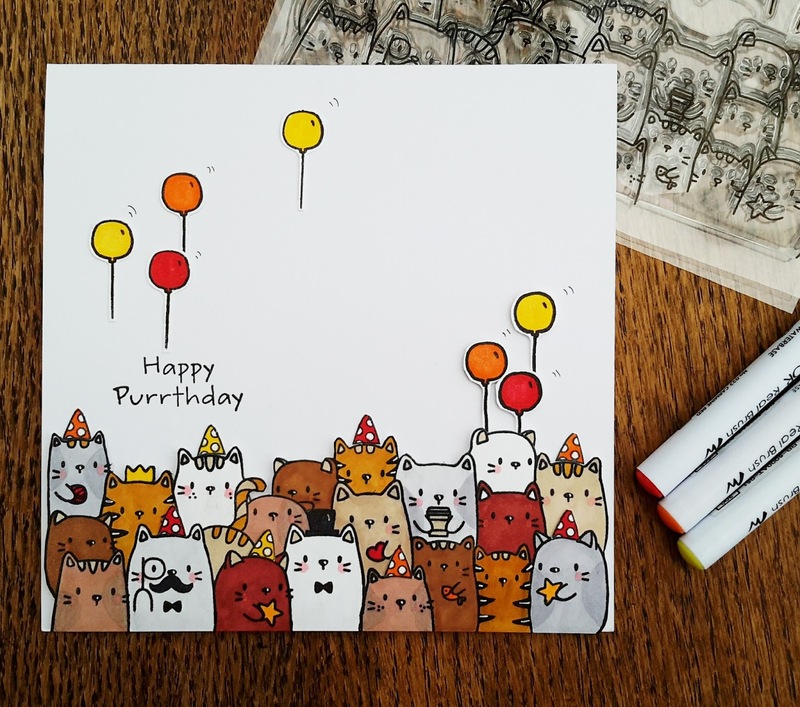 Love those little critters and your card is wonderful.